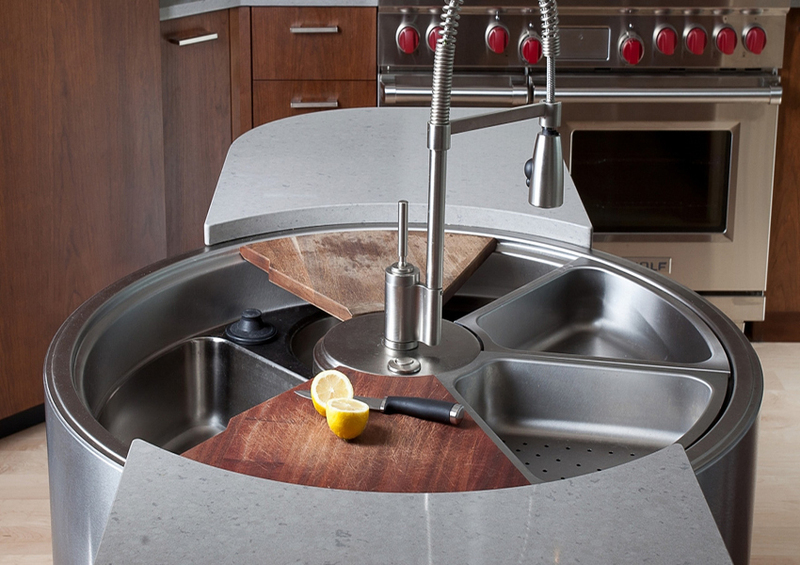 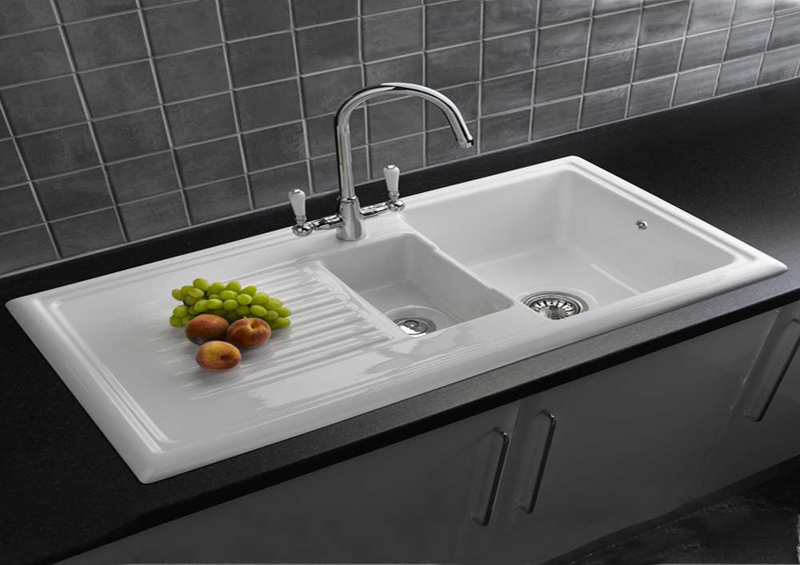 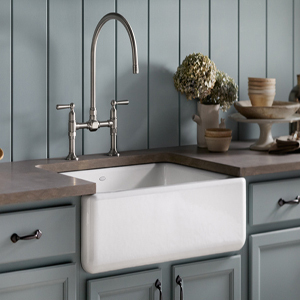 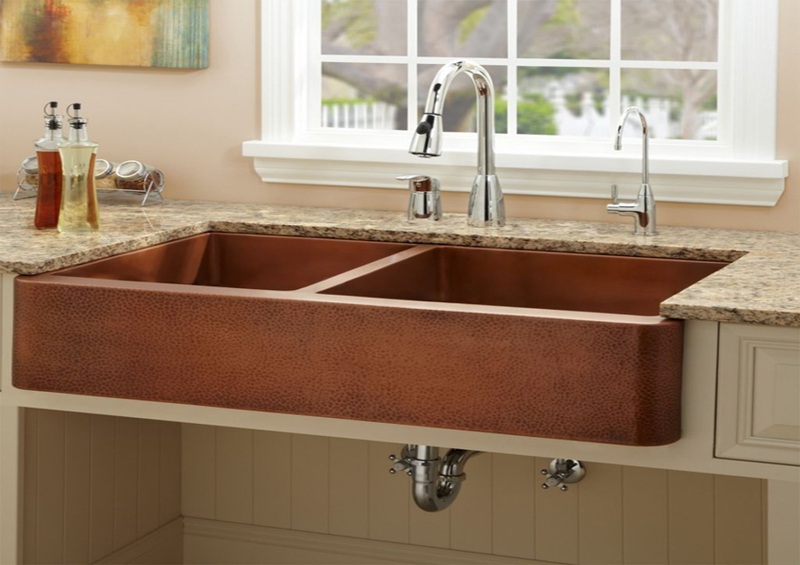 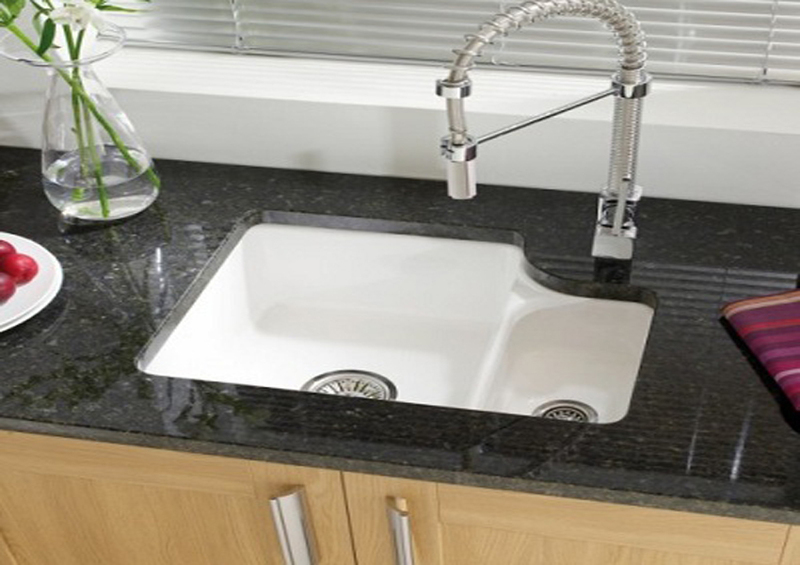 A Kitchen Sink—also known by other names including sinker, washbowl, hand basin and wash basin—is a bowl-shaped plumbing fixture used for washing hands, dishwashing, and other purposes. 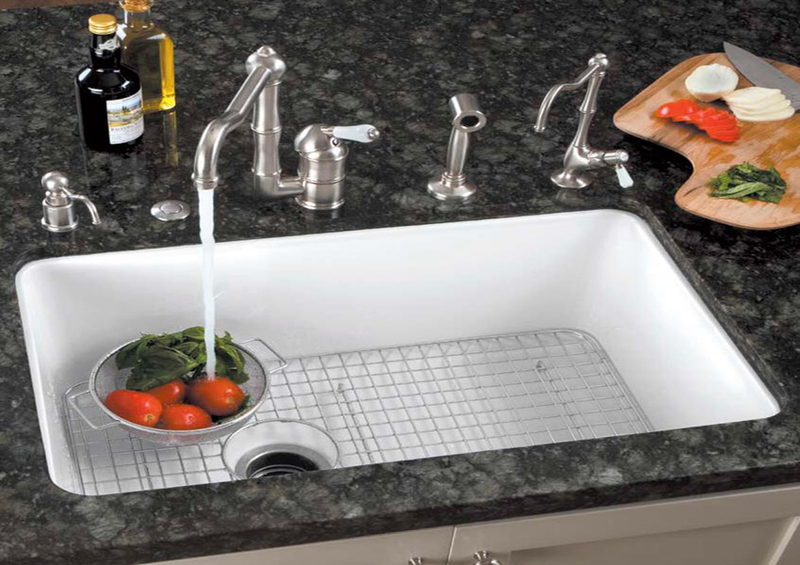 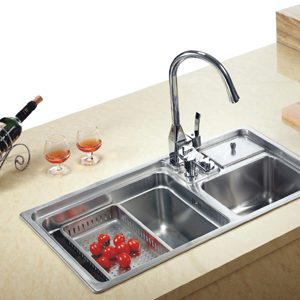 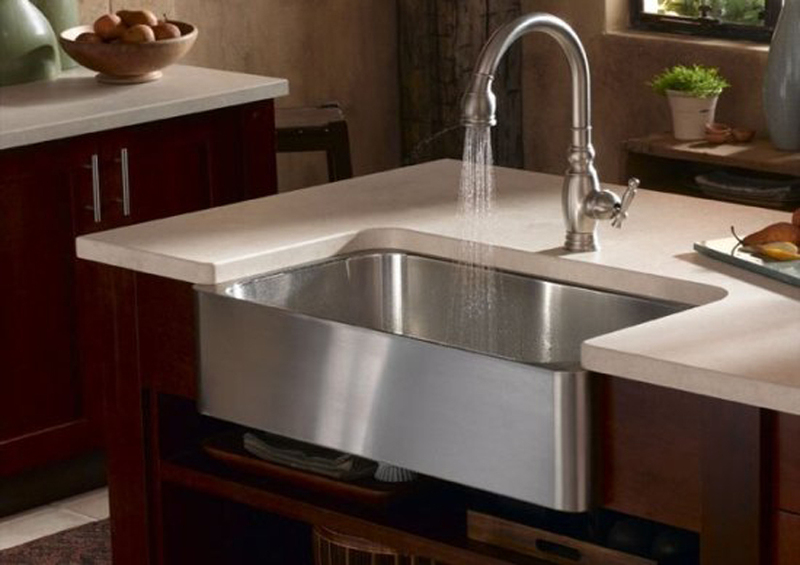 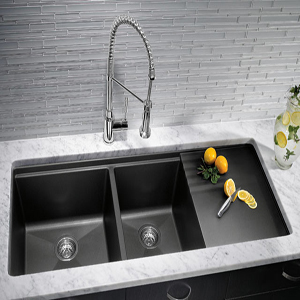 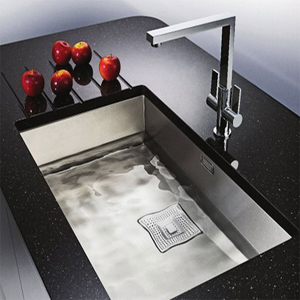 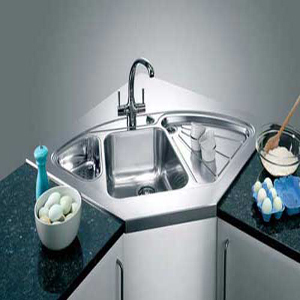 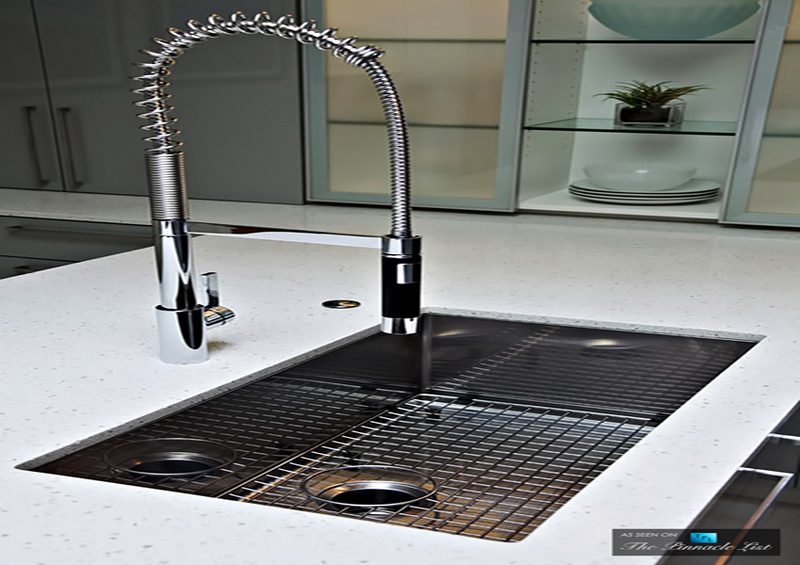 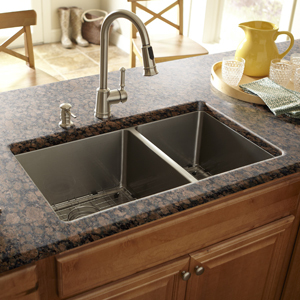 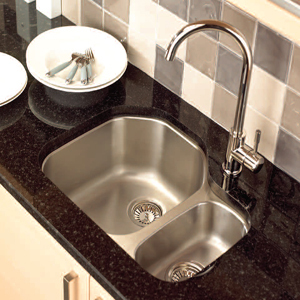 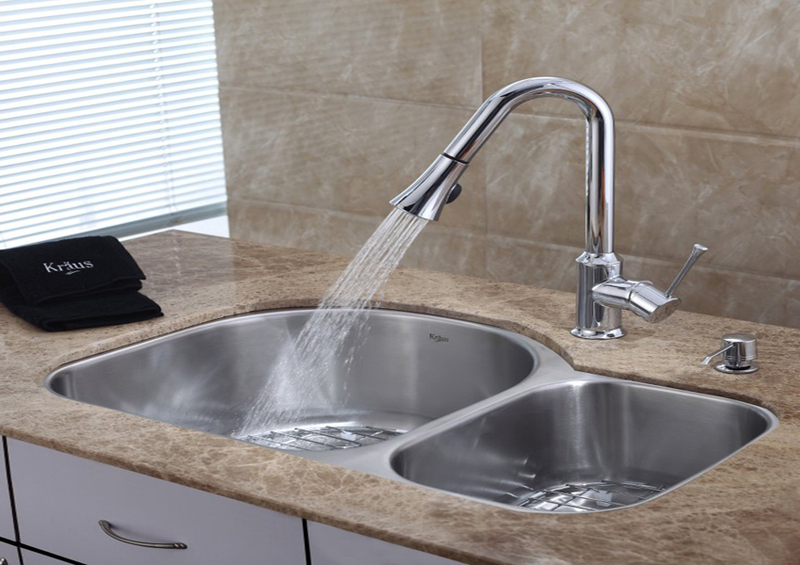 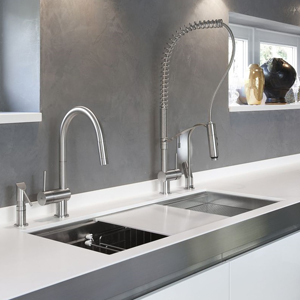 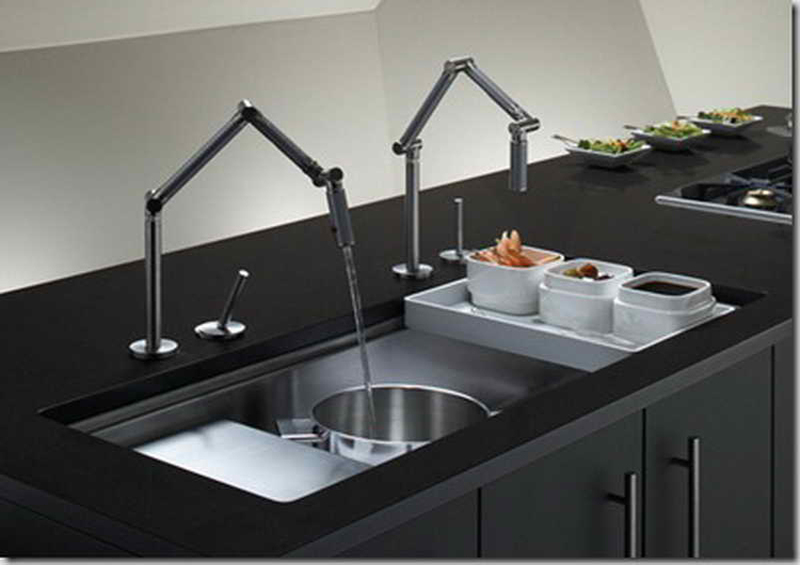 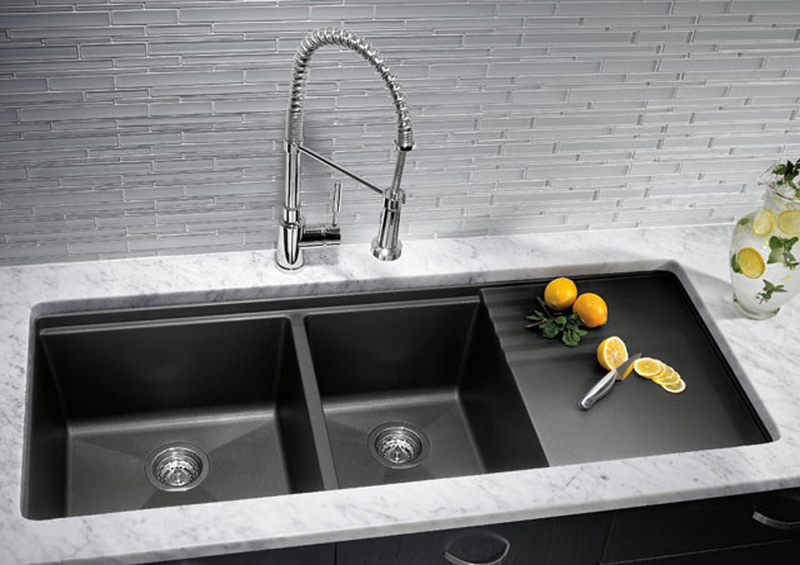 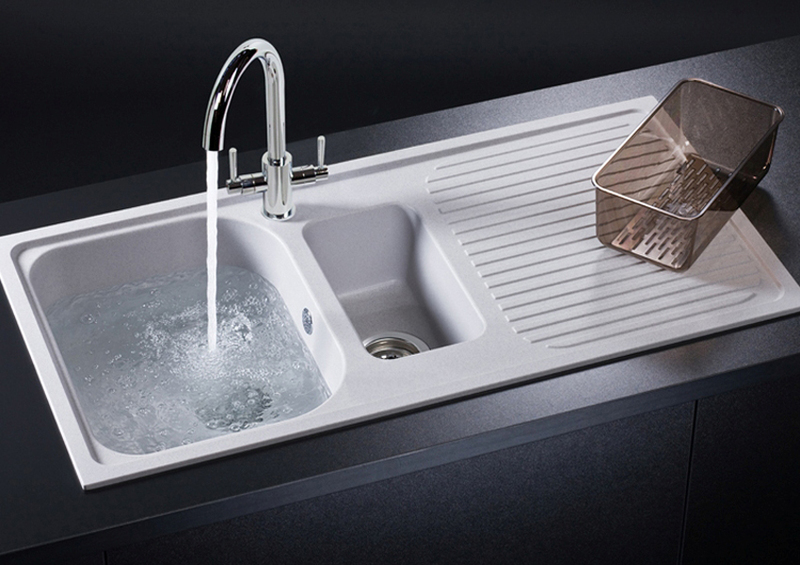 Sinks have taps (faucets) that supply hot and cold water and may include a spray feature to be used for faster rinsing. 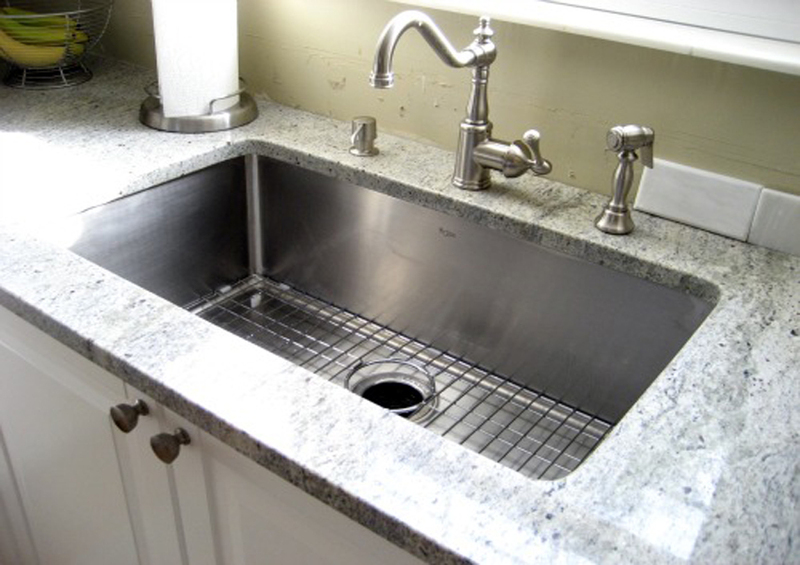 They also include a drain to remove used water; this drain may itself include a strainer and/or shut-off device and an overflow-prevention device. 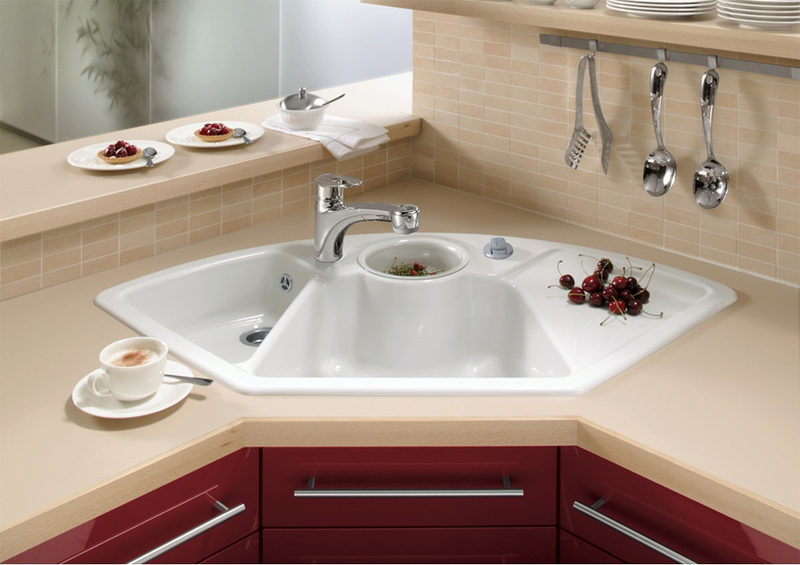 Sinks may also have an integrated soap dispenser. When a sink becomes stopped-up or clogged, a person will often resort to use a chemical drain cleaner or a plunger, though most professional plumbers will remove the clog with a drain auger (often called a "plumber's snake").